thiruvAimozhi – 7.8.6 – mayakkA! vAmananE! In the sixth pAsuram, AzhwAr becomes astonished enjoying emperumAn having contrasting aspects starting with forgetfulness, as his wealth. mayakkA – Oh one who mesmerized mahAbali’s heart by your form, walk and speech vAmananE – Oh vAmana! thuyarangaL – kind of sufferings! Oh vAmana who mesmerized mahAbali’s heart by your form, walk and speech! Mercifully explain one thing to me to grant me knowledge. You are having at your disposal, forgetfulness and clarity, heat and coolness, amazement and objects which cause amazement, victorious abilities in this world, deeds in the form of puNya and pApa and their respective results, and the bewilderment of chEthanas in these aspects. What kind of sufferings do your means of being the enjoyer of such aspects, cause to this universe! mayakkA – Oh one who mesmerizes anyone who approaches you irrespective of who they are! vAmananE – Oh you who mesmerized mahAbali himself to willingly pour the water and give you the worlds after having his heart melted even though he was torturing the dhEvas (celestial beings) on whose behalf you went to him! As said in periya thirumadal “mannai manam koLLa vanjiththu nenjurukki” (emperumAn deceived mahAbali, the emperor to captivate his heart, by melting it). madhiyAm … – You should bring clarity in me so that I don’t get confused between favourable and unfavourable aspects. 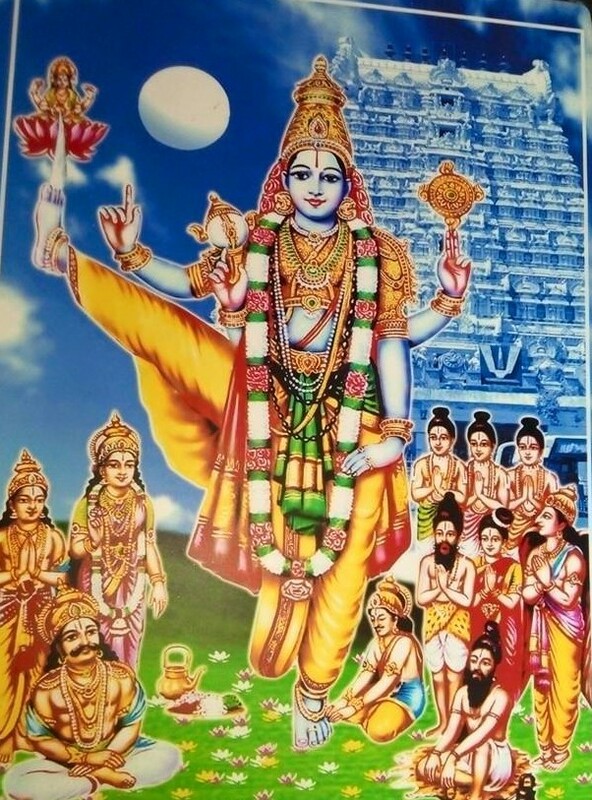 ayarppAyth thERRamumAy – He himself said in SrI bhagavath gIthA 15.15 “maththa: smruthir gyAnam apOhanam cha” (knowledge to identify any entity and forgetfulness originate from me). Being forgetfulness and clarity. Here, AzhwAr is not focussing contrasting aspects of emperumAn‘s wealth but the variegated nature of the same [since contrasting aspects are already explained in thiruvAimozhi 6.3 “nalguravum selvum“]. azhalAyk kuLirAy – coolness and heat. viyavAy viyappAy – amazement and objects which cause amazement. vinaiyAyp payanAy – puNya and pApa, and their respective result. pinnum nI thuyakkA – Further, to cause bewilderment even in those who taken refuge in you, you give them anyathA gyAnam (understanding an object to be something else) and viparItha gyAnam (understanding the object’s attributes incorrectly). nI ninRa ARu – The way you remain. iuvai enna thuyarangaLE – You are having these as enjoyable sport; but these are causing us great sorrow. This entry was posted in thiruvAimozhi, thiruvAimozhi 7th centum on October 24, 2018 by Sarathy Thothathri.